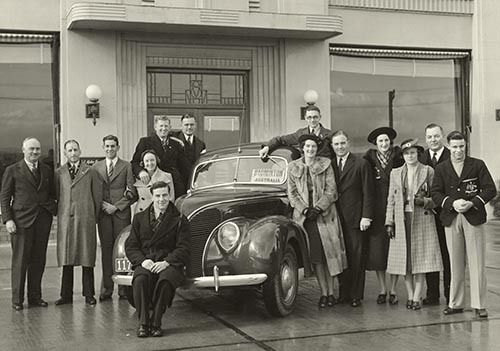 The Ford Motor Company is considered the birthplace of NZ Club Softball in 1937. “BATTER UP!” 2016. 40 minutes. HVSA documentary celebrates 70 years. Research, interviews, graphic design, marketing, Archive management, Digitising Archival 35mm film. The Hutt Valley Softball Association celebrates 70 years of Hutt Valley softball excellence. Many captains and coaches of the national teams – the Black Sox men and White Sox women – have been Hutt Valley players, and the famous names of the past are repeated in the children and grandchildren of the pioneers. Extensive archival images and some footage from HVSA, Softball NZ, Archive New Zealand, Hutt City Library, and from personal archival collections. Research, oral histories, digital and data wrangling was a large part of Aspire Design’s contribution in this project. 70 years is an amazing length of time considering what Hutt Valley softball had provided to the community and in fact the National sporting scene, so it was a challenge to anyone to put together a documentary that would recognize these achievements. The end product, “Batter Up” is an outstanding production that not only records the past but also the future of softball in ‘the Valley’ and also interacts with the community that was built by the State during the 1950’s. The production was presented on time and within a very tight budget which again acknowledges the ability of the Production crew to meet both time and financial guidelines. I would recommend both Bytesize Productions and Aspire Design to any organisation considering making a professional and appealing production of their business, history, or product to the consumer.